rise in the online gaming industry. ‘Happy to help’, was her immediate attitude and this positivity would go some way to explaining why http://GaBoom.co.uk continues to grow as an online business for the gaming community. The idea of GaBoom is simple; www.GaBoom.co.uk/ automatically matches online members together based on the video games they wish to swap. Jess Ratcliffe started GaBoom last year when she was 19 and studying in her first year at University. Jess then went on to win £10k from the prestigious National Varsity Pitching Competition, which is open to Students and Graduates across the UK. Check out the NVCP at http://www.wix.com/vlennox/nvpc for more information on this competition. online retail gaming industry, and her confidence in deciding to leave University to concentrate on her business, must be commended and celebrated. 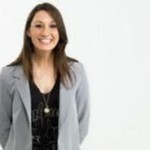 Therefore Jess was an obvious choice for TheEmployable to speak to as she is a great example of a young UK entrepreneur. Thanks Jess, for speaking with us today. How is GaBoom currently going? GaBoom is going very well, thank you! We currently working towards a re-launch of the website at the end of this month, so it’s very exciting! So gamers are happy to match and swap games on line? How do you manage the quality of the ‘swap’ so to speak? We currently offer three different swapping options for members, which provide varying levels of security. Our most secure option is called the Secure Swap, where the games come to us and we check the condition of the games before sending them on. Have you always had a vested interest in computer games? If yes, does this help with your business? with my friends and neighbours. It helps to be a gamer myself because I can relate to GaBoom’s members and we all have something in common. Must have been a steep learning curve, from University to a successful online business? It’s been a fantastic learning experience. I have learnt so much over the past year and I don’t regret leaving University at all. I left University after my first year to work on GaBoom full-time and I am so pleased I did! …and did you have any experience of trying to set up a business before GaBoom? GaBoom is my first business, so to see it get to this stage is hugely rewarding! Apart from the funding from NVCP, did you get any other outside funding or investment support? Yes, I raised investment in February last year. What advice would you offer to someone with a good business idea, but no idea how to then turn it into a business? I would advise anyone with a business idea to look into how to make it a reality and go for it! It’s such a fantastic and rewarding experience. There are so many people out there that are willing to help you explore your business idea, such as the British Library. They offer one-on-one sessions with experts, so that is where I would suggest starting. Are you up against much competition in the UK for the service you offer to gamers? There will always be competition, whether it’s direct or indirect competition. They spur me on to make GaBoom the best it can be. Bit of a cliché question, but where do you see yourself and the business in the next 3 years? I have big plans for the future, including expanding GaBoom internationally for a start. and disillusioned worker, in finding and developing their talents and skills into potential business ideas. What is your current impression of the UK employment market? Enough done to support entrepreneurs? If you have an idea, I believe that this is the time to start a business – especially an online business. 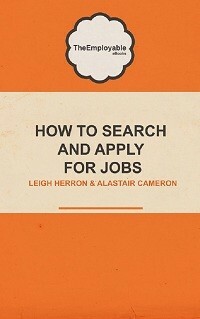 If you’re unable to find a job, why not make one for yourself? There is support out there for entrepreneurs. There could always be more support but I think it largely comes down to the individual themselves. Whether their business becomes a success or not relies on their motivation and desire to make it happen. Thank you Jess for speaking with TheEmployable and good luck for the future. This is my first time i visit here. I found so many entertaining stuff in your blog, particularly its discussion. From the plenty of comments on your articles, i suppose i am not the only one having all the enjoyment here! sustain the great work.